During the holidays I go cookie crazy and love to bake up batches of sweet treats to give as gifts or serve at holiday get-togethers, so I’ve rounded up some of my most popular Christmas cookies for you to try this year. There are decadent chocolate chip cookies, several go-to classic holiday cookies, lots of fun and festive cookies, and some of my favorite Nutella cookies. So, take a browse and make a list because there are so many great Christmas cookies recipes to try! I love chocolate chip cookies and I have a bunch of recipes to share that are perfect for the holidays. Whether you prefer soft chocolate chip cookies, crispy chewy chocolate chip cookies, or bakery-style chocolate chip cookies, I have you covered! Levain Bakery Chocolate Chip Cookies | These ooey-gooey chocolate chip cookies are my take on the ones sold at the famous Levain Bakery in New York City. 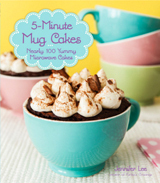 They’re studded with chocolate and weigh in at a whopping six ounces each! If you want something even more decadent be sure to check out my Levain Bakery Dark Chocolate Chocolate Chip cookies which are another popular cookie from Levain Bakery. Crispy Chewy Chocolate Chip Cookies | These bakery-style cookies are thin and chewy with crispy crinkled edges. Plus, they’re loaded with lots of chocolate chunks so every bite has rich, chocolatey goodness. New York Times Chocolate Chip Cookies | The holidays are not complete without a batch of these chocolate chip cookies. These 72-hour cookies from Jacques Torres went viral after The New York Times printed the recipe and once you make a batch you’ll know why. 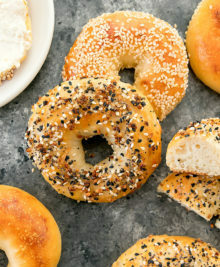 Although it requires some patience, the 72-hour rest time for the dough produces a cookie with a perfect texture – crispy around the edges and soft and chewy in the center. It’s one of my favorite cookie recipes! 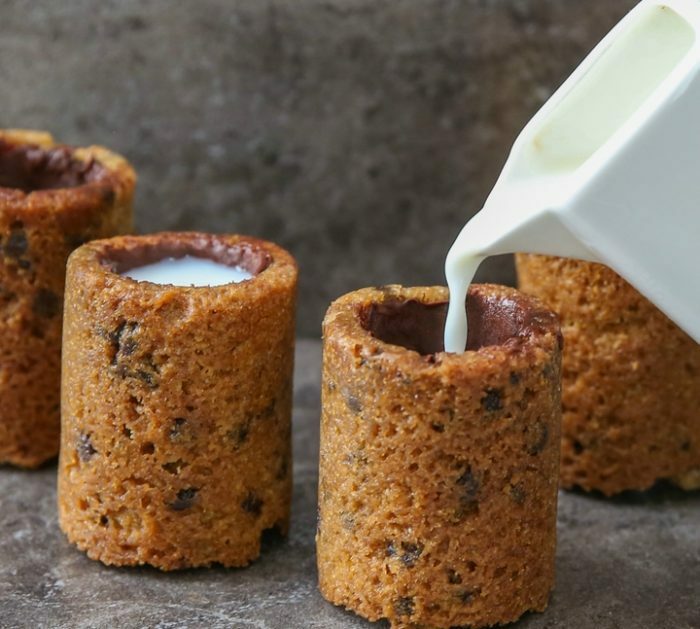 Chocolate Chip Cookie Shots | Now you can have your milk and cookies all in one special treat! 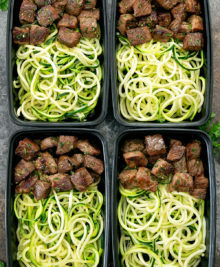 They’re great for parties because they need to be made ahead of time. If you want something other than chocolate chip be sure to check out my cookies and cream cookie shots, too! Best Soft Chocolate Chip Cookies | This is my go-to recipe for soft chocolate chip cookies and during the holidays I like to use red and green chocolate chips to make them perfect for the season. The cookies come out thick, puffy, and soft thanks to one simple ingredient. Paleo Chocolate Chip Cookies | These cookies look like they’re straight from the bakery and no one will guess that they’re flourless, gluten-free, and paleo! 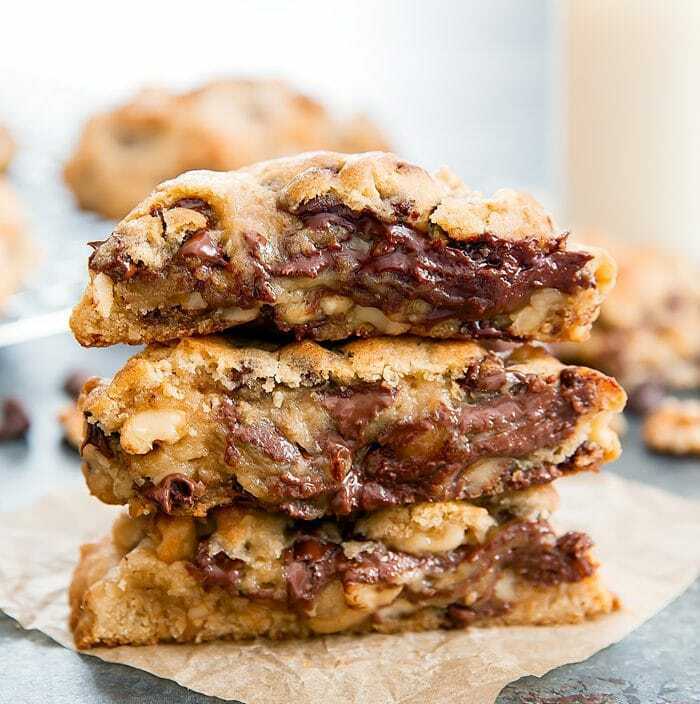 Marble Soft Chocolate Chip Cookies | These thick and soft cookies combine chocolate chip cookies with chocolate chocolate chip cookies so you don’t have to choose just one! Some Christmas cookies never go out of style and the following cookie recipes are ones that I make for my family every year. From classic spritz cookies, crispy spiced gingerbread cut-outs, and the easiest sugar cookies ever, you’ll want to try them all. 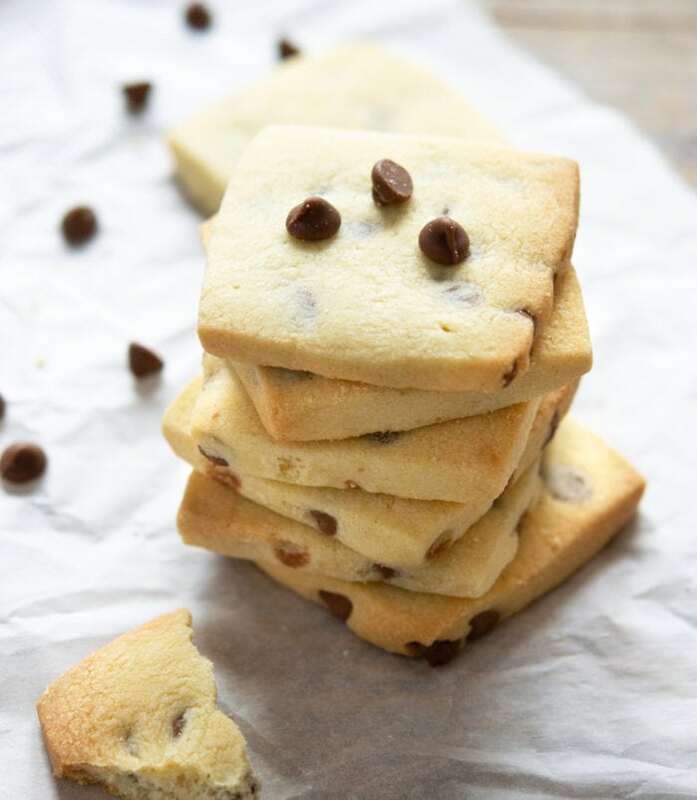 Chocolate Chip Shortbread Cookies | These shortbread cookies are crumbly, buttery, and practically melt in your mouth. Unlike a lot of Christmas cookies, they’re not overly sweet, either. I also have a chocolate version too. Classic Spritz Cookies | The holidays at our house are not complete unless I make a big batch of spritz cookies. They’re buttery little cookies that are so addicting! Easy Sugar Cookies | These sugar cookies are easy to make and taste great. They’re delicious plain or decorate them with your favorite holiday frostings and sprinkles. Giant Chocolate Crinkle Cookies | A lot of crinkle cookie recipes call for melted chocolate which is one step too many when it gets busy at the holidays. 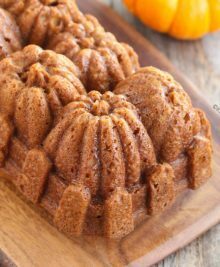 This recipe calls for cocoa powder and a few other basic ingredients making them an easy treat to make. Gingerbread Family | These cookies are crunchy with a wonderful spiced flavor. You can cut them into any shape you like, but I love making gingerbread families. 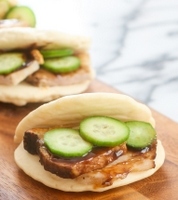 They’re so cute you almost don’t want to eat them! Hazelnut Russian Tea Cakes with Christmas Sprinkles | Russian tea cakes are buttery little cookies made with nuts. 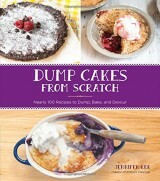 They’re not too sweet and very easy to make. I used hazelnuts for this version and decorated them with colorful holiday sprinkles. 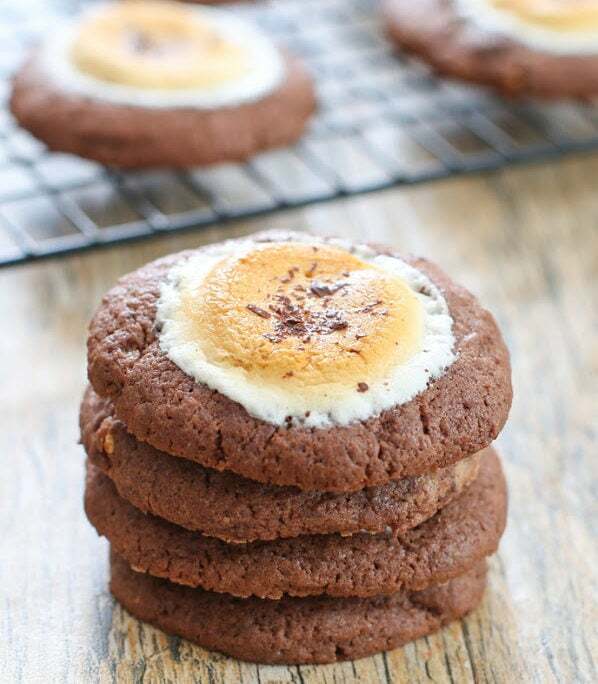 Hot Chocolate Cookies | These cookies are made with cocoa mix and topped with toasted marshmallows. 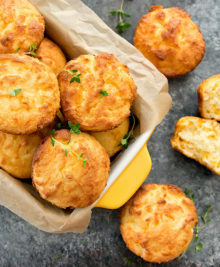 They are warm, gooey, and a fun cookie to make during the holidays. Soft and Chewy Snickerdoodles | These soft and chewy cookies are always a favorite during the holidays. 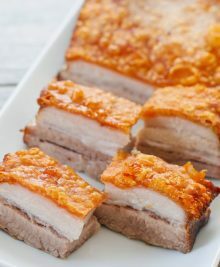 They’re lightly spiced with cinnamon and so easy to make. Soft Sugar Cookies | Soft and chewy all the way through these sugar cookies are easy to make and decorate. Ginger Spice Cookies | I love to make ginger cookies during the holidays and these cookies are thick, soft, a little chewy, and loaded with lots of ginger flavor. If you’re making holiday cookie platters, you’ll want to include a few of these fun and festive cookies. Naturally green matcha cookies, marshmallow-stuffed cookies, and chocolate-dipped shortbread cookies are sure to stand out! 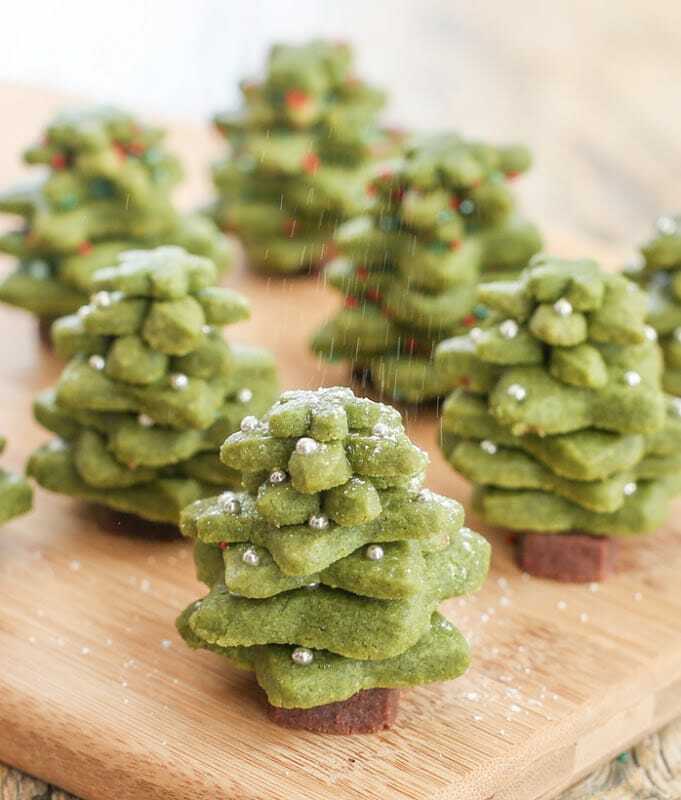 Matcha Shortbread Christmas Tree Cookies | These adorable Christmas tree cookies are made with matcha green tea which means you don’t need to use any food coloring. 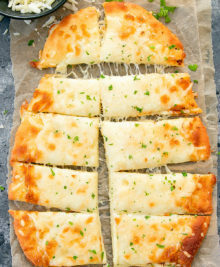 They are buttery and melt-in-your-mouth tender. 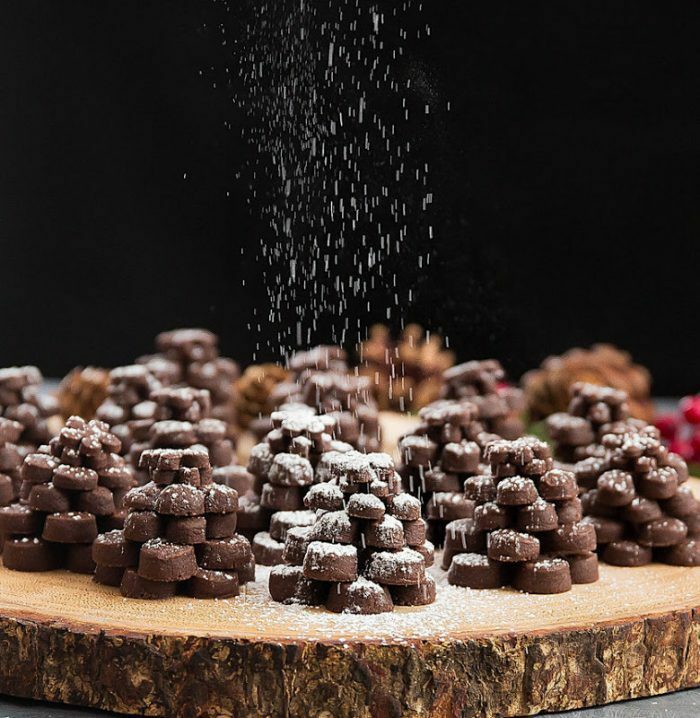 Chocolate Pinecone Shortbread Cookies | These chocolate shortbread cookies are cut and stacked to resemble pinecones with a light dusting of powdered sugar “snow”. They’re a fun and festive cookie for the holidays. Green Tea Sugar Cookies | If you’re looking to change-up your sugar cookies this year these matcha ones are a fun way to do it. I love the flavor of the matcha and each cookie is studded with chewy cranberries. 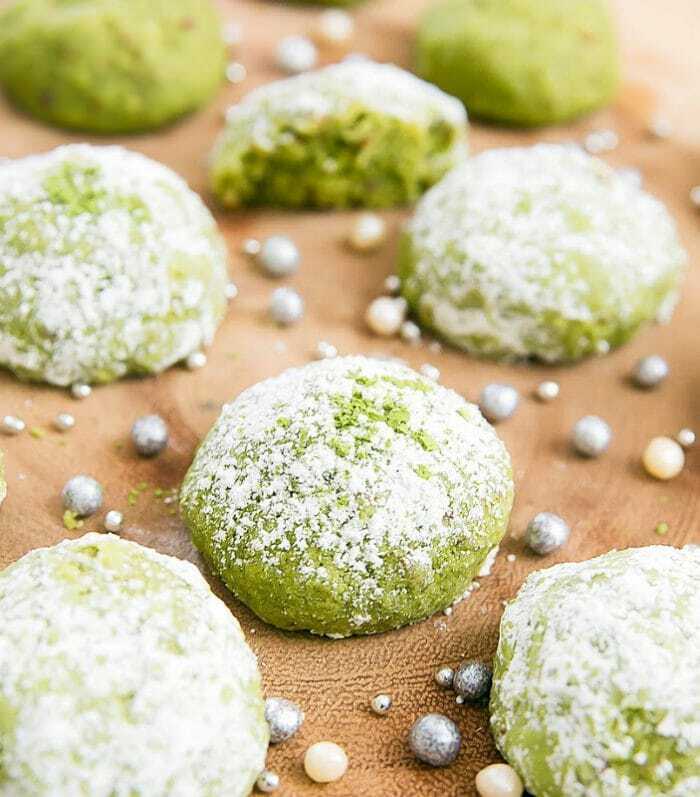 Matcha Snowball Cookies | These tender snowball cookies (also known as Russian tea cakes or Mexican wedding cakes) are flavored with matcha green tea that gives them a natural and perfect-for-the-holidays green color. Red Velvet Shortbread Cookies | These star-shaped red velvet shortbread cookies are dipped in chocolate and decorated with sprinkles. They’re a fun and sweet way to dress up a holiday cookie platter. Matcha Shortbread Cookies | If you can’t tell already, I love to make shortbread during the holidays and these tree-shaped matcha shortbread cookies are one of my favorites! 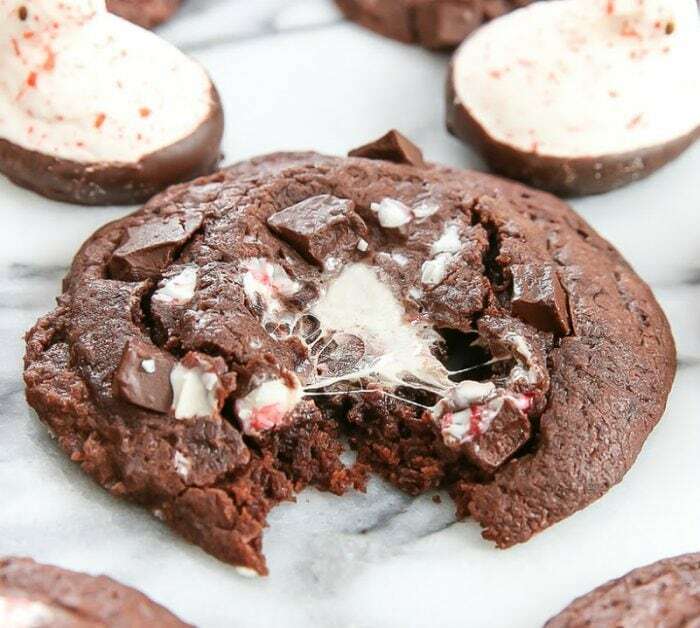 Peeps Candy Cane Stuffed Chocolate Cookies | These double chocolate cookies are stuffed with Peeps chocolate dipped candy cane flavored chicks which give the cookies a gooey candy cane flavored marshmallow center. Soft Red Velvet Chocolate Chip Cookies | These red colored chocolate chip cookies are made with buttermilk and cocoa. They’re delicious and perfect for the holidays. Stained Glass Christmas Tree Cookies | These delicate cookies are almost too pretty to eat! 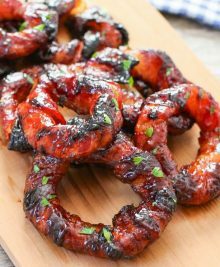 They look more complicated to make than they actually are – with just some hard candy and a few simple ingredients they’re easy to make. If you follow my blog you know how much I love Nutella and the holidays would not be complete without a few cookies made with my favorite chocolate and hazelnut spread. 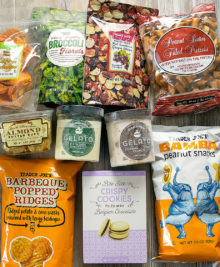 Gooey lava cookies and Nutella shortbread are just a few of my favorites! 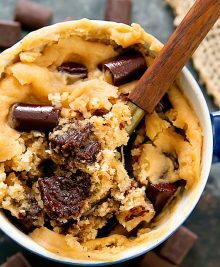 Chocolate Nutella Lava Cookies | If you’ve ever had a chocolate lava cake you know how satisfying it is to dip into the molten chocolate center. 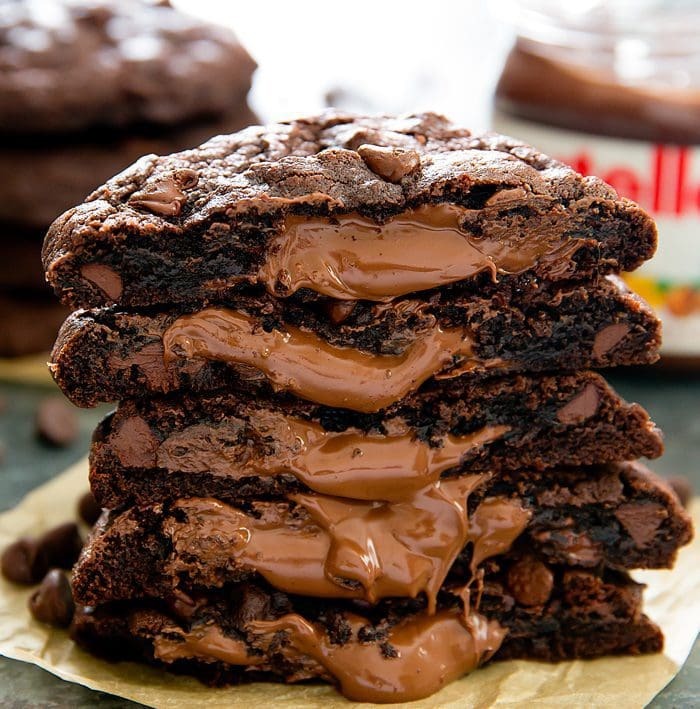 Now imagine that in cookie form, but instead of melted chocolate, each cookie is stuffed with an ooey-gooey molten Nutella center. These are a must-make for all the Nutella lovers on your holiday list. 4 Ingredient Chewy Nutella Cookies | If you’re short on time during the holidays these chewy brownie-like Nutella cookies are ridiculously easy to make with just four simple ingredients. Nutella Shortbread Cookies | Another shortbread recipe but this time it’s a tender melt-in-your-mouth Nutella version. Holiday Nutella Chocolate Chip Cookies | These simple Nutella chocolate chip cookies are great year-round but add some festive holiday chocolate chips and they make a great Christmas cookie that will disappear fast!